Thear Lemoine maintains a general litigation defense practice with a particular emphasis in the above areas of practice. Mr. Lemoine has also investigated numerous sensitive internal allegations and is experienced in quickly assessing risks and managing clients’ response. In addition to litigating claims, he regularly advises clients on contractual and general business issues. Mr. Lemoine frequently attends workshops to stay abreast not just of developments in the law, but of technological advancements that serve the effective and efficient representation of his clients. Mr. Lemoine is on the approved counsel list for a number of insurers and for the Mississippi Tort Claims Board. His practice extends throughout Louisiana and Mississippi, with pro hac vice appearances in other states. 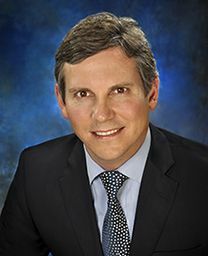 He has successfully argued before the United States Fifth Circuit Court of Appeals and state courts of appeal, and tried numerous cases in Louisiana and Mississippi federal and state district courts. Defense verdict in a large arbitration related to a $10,000,000 plus runway resurfacing project at the Jackson Municipal Airport. Represented engineering/surveying professionals whose alleged error in the design plans was said to have caused the need for a rebid of the project and an increase in cost of some $1,500,000. We were the target defendant, with our work being attacking by the Airport Authority and by the Project Manager. Before trial, we were authorized to offer $700,000 in settlement, which the Airport Authority rejected. The panel ruled in our favor, finding that the Airport Authority’s rebid was voluntary and not due to any error by our client. Successful representation of children’s car seat manufacturer against defective-design product liability claims, emanating from a catastrophic accident that left a young child paraplegic. Plaintiff’s counsel, who had recently secured an eight-figure trial recovery based on similar claims and injuries, estimated the value of plaintiff’s damages at a comparable amount. Brokered a voluntary dismissal of all claims, without payment of any consideration, after questioning reliability of plaintiff’s engineering expert’s opinions in light of contradictory forensic evidence. Defended two corporate oil and gas “jobbers” sued for personal injuries. Prior to trial, the plaintiff’s settlement demand was $300,000.00. The jury returned a defense verdict. Defended commercial trucking company in case with difficult liability outlook in notoriously plaintiff’s-friendly venue. Plaintiff underwent neck and back surgery. Key defense witnesses’ whereabouts were unknown. After a week-long trial, the jury returned a defense verdict. Plaintiff’s last settlement demand was $750,000.00. Defended ERISA claim in which plaintiff previously obtained favorable state court ruling characterizing nature and causation of decedent’s death. Federal court found offensive collateral estoppel use of prior ruling was inappropriate and dismissed the ERISA claim on summary judgment. Secured dismissal of student’s 28 U.S.C. § 1983 and due process claims relative to eligibility to engage in interscholastic sports and extracurriculars. Achieved summary judgment in two professional liability/legal malpractice matters. One of these was accompanied by a favorable ruling on an Article 971 motion to strike, and an award of attorney’s fees. Successfully tried the issue of worker’s compensation exclusivity, barring recovery of tort damages, in this wrongful death matter involving professional “team” co-drivers for a national trucking company. The drivers were en route on a long-haul delivery when they stopped over a weekend for inclement weather. After consuming alcohol, they quarreled and then separated, with one driver taking her belongings and leaving the truck. There was testimony to the effect that she intended to terminate her employment. Tragically, she was later killed when she was apparently struck by the tractor-trailer as her co-driver left to continue the trip. In ruling after a bifurcated bench trial that worker’s compensation was the decedent’s estate’s sole recourse, the court applied the “traveling employee” doctrine to find she remained within the course and scope of employment, despite the extraordinary circumstances of the accident suggesting it was not employment-related. Secured summary judgment in favor of an employer in wrongful termination claim founded on allegations of gender and age discrimination. Won summary judgment in employment discrimination and harassment matter in which minority plaintiff claimed long-term and pervasive hostile environment and constructive discharge of herself and other minority employees. Represented national cleaning company plaintiff pursuing claims under the Louisiana Unfair Trade Practices Act against regional service company, alleging unfair business advantage derived from mischaracterization of workers as independent contractors instead of employees. The trial court denied defendant’s summary judgment motion on the issues of standing and political question. The 5th Circuit denied defendant’s application for interlocutory writs. The jury agreed defendant misclassified its workers. Represented Louisiana municipality in bankruptcy adversary proceeding against bank. Auction company that facilitated sale of substantial city-owned property deposited auction proceeds in bank escrow account. Bank took off-sets to cover overdrafts in other non-escrow accounts as auction company spiraled towards bankruptcy. Represented physician in defamation claim against hospital arising from denial of practice privileges. Represented plaintiff developer pursuing construction defect claims against architect/builder in relation to multi-million dollar mixed use development. Architect’s insurer defended under a reservation of rights. Exploited insurance coverage issues superimposed over professional liability claims to spur settlement on advantageous terms. Represented plaintiff shipbuilder on windstorm damage claims to facility engaged in construction of military vessels using classified technology. Following discovery and a favorable dispositive motion ruling allowing case to proceed to trial, defendant agreed to significant settlement. Represented plaintiff commercial vehicle fueling station in environmental damage claims against transportation company based on release of large volume of fuel. Jury found defendant negligent and assigned it responsibility for significant environmental clean-up costs. Represented multi-location restaurateur plaintiff in claims arising from profit-sharing agreement. Successfully prevented defendant from recovering additional profits and obtained injunction restraining defendant from interfering in prospective business relations. Obtained favorable settlement in representation of national laboratory company against claims it swapped specimens leading to misdiagnosed negative test results and metastasis of cervical cancer. Defended trucking company whose driver, while attempting to overtake a vehicle, collided head-on with the plaintiff’s vehicle in the plaintiff’s lane of travel. Prevailed on a motion for partial summary judgment, striking the claim for punitive damages, in the face of overwhelming evidence suggesting that transportation client may have been grossly negligent. After the second day of trial, plaintiff, who had undergone a cervical fusion and was scheduled for lumbar fusion surgery, agreed to settle for less than half his special damages. Defended oil company in adversary bankruptcy proceeding against allegations it wrongfully initiated criminal actions against the plaintiff and drove him into bankruptcy. Prevailed on a motion for summary judgment. Secured favorable settlement for rock group Korn and its individual member musicians in an action based on a concert “stage crush” incident. Favorably resolved business tort claim involving alleged violation of exclusive distribution rights to Bassett Furniture in Mississippi. Defended architect in professional liability claim based on failure of designed retention wall, undermining $15M governmental building. Favorably resolved claim by settlement.